Since there's a strong possibility of the members being new faces to one another, it seemed a positive step to have a thread for them to introduce and say a little about themselves. Hey, some of you may remember me from Zero's other forum, Trinity... Something. I went by Karma Hager there. I've been a Gundam franchise fan for a while now, and though occasionally my interests are swayed by something else, I always return faithfully to my sweet sweet Char in the end. I also have big respect for the FMP series, I seem to be shaping up to be a fine Mech-Otaku one day. As for my administrative opinion, if fights break out between the guys, then I'll make sure all parties suffer for it. If fights break out between the ladies, I'll make sure there's always a pool of mud/jello ready to settle any differences. In all seriousness though, I am here to make sure this place runs as best to its members requirements as I can make it, so don't hesitate to contact me if you're having a problem. I've been lurking here for a bit, and I noticed it's quite quiet here so I thought I'd lend you a big mouth to liven it up. I loved the first season of 00, but can't help feeling the second is starting to disappointingly lean a little toward the old mistakes. The A-Laws are just too 'Bad Guy', they need more ambigious characters like the HRL or Trinties were. Seeing that this could be considered a reintepretation of season 2, it has the scope to not go down the same path and be the story that season 1 set up. Oh, I'm a Trinities fan and have a particular liking for Michael, hence the username. Some of you might remember me from the Trinity Base RPG board. Even thought I'm not crazy about the second season of 00, I'm gonna give this RPG a shot and hopefully things will go well. I'm still not sure what I'm gonna do as far as character goes. I'm leaning towards using the same character from the previous board 'cause I really liked him and didn't get a chance to RP as him that much. If there is anything I can do to help out, just let me know. I believe Zero wanted you to be an admin alongside myself, did he not? I can grant you that power. Hey watch it there Patrick! Just cause I'm busy in real life doesn't mean I'm not watching the forum! Hi there Michael and welcome to our dysfunctional-gundam family. I'm the host/Daddy Zero. Patrick would be the Uncle, and Mars is my son (lolz). You are a clever man! Yes, this will be a reinterpretation of season 2. Meaning some characters and events could change, meaning the plot would change too. Hey Michael. Nice to meet you too. I think that the reason why I'm not that fond of S2 is 'cause it is more story/character development as opposed to S1 that was more action orientated. I mean, I like the character development in S2, but the plot just moves along too slowly. Patrick, if you deem we worthy of that power, I will try not to let you down. But it would appear that "dad" has found out about our hostile takeover. This isn't the Gundam 00 second season discussion thread, so I advise you naughty imps to post your thoughts here. Hello everyone I am Hayase. I have been a gundam fan for about the last 12 years. I first got into gundam back when my family visited Japan and I got one of the Gunpla kits. I also like most other mech based animes like FMP and Linebarrels of Iron. EDIT: Wow, there's some nice pic's in the photobucket your MS is linked to. 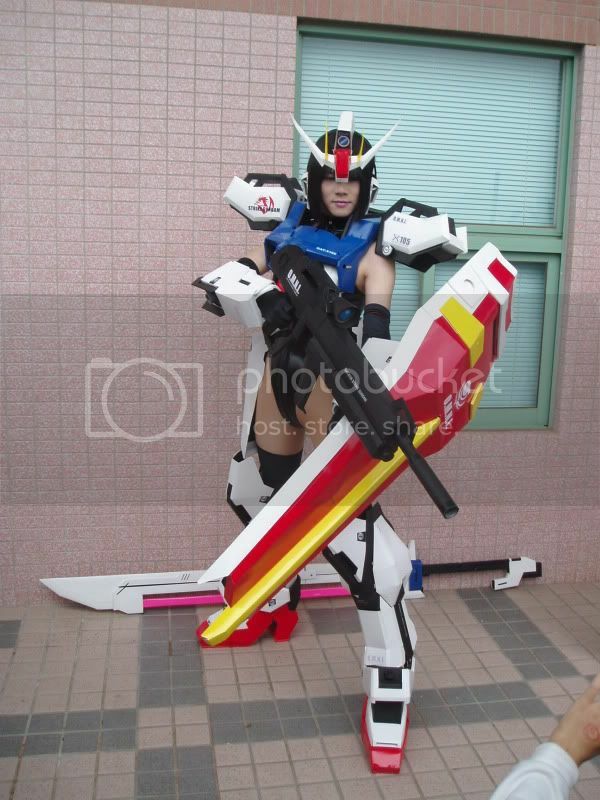 https://2img.net/h/i263.photobucket.com/albums/ii128/AfterburnZero/striekgirl.jpg Awesome cosplay. Hello Hayase-kun, pleasure to have you join us! 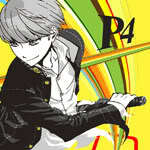 Hayase wrote: Hello everyone I am Hayase. I have been a gundam fan for about the last 12 years. I first got into gundam back when my family visited Japan and I got one of the Gunpla kits. I also like most other mech based animes like FMP and Linebarrels of Iron. Can't believe I didn't saw this earlier. I just finished watching Linebarrels of Iron the other day. Great, great series. Hello Nena/Sara-chan! Don't forget to post up your Character profile in Canon Characters. Hello all, I saw the ad for this and came from the Celestial Being forum. Looking forward to RPing with you all. I've been looking for some good 00 RPs to take part in, after having had my fill of CE with several different SEED and SEED-DESTINY RPs. How many Role Play's have you been invlolved in, Nightbringer? I've been involved in quite a few during my RP career. I've been quite active until recently on Seed Forums, although since I left it has gone into a bit of a decline. I've been running an RP of my own, although it's winding down now. I'm also part of the 00 RP at the Celestial Being forums, and also a Code Geass one. It's supposed to be for R2, atm its a bit before R2 starts.